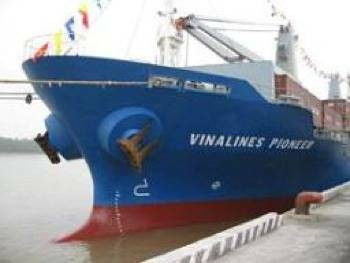 A number of shipping companies in Vietnam are facing huge losses, some on the brink of bankruptcy, due to lack of clear development strategies, reports Dan Tri International (DTI). Citing a Vietnam Maritime Administration report on shipping development plans from 2013-2020, and with a view to 2030, DTI says that Vietnam has rapidly grown its number of ships without proper management methods or plans to deal with sudden market changes. The report also pointed out several other shortcomings, such as old ships, or vessel types that are not in demand. As of this year, about 40% of cargo ships were over 15 years old and do not meet international requirements for maritime safety, which Vietnam has agreed to through international conventions. More than 40 have actually been banned from maritime activities altogether. Referring again to the report, DTI says that 40% tonnage of vessels will be cut down so that, by 2015, the total tonnage of the Vietnamese fleet will be reduced to 2.5 million DWT.